…but I’m telling it anyway (with BethAnn’s permission). Pregnancy and delivery are always an adventure. But the adventure of BethAnn’s delivery was more than she and her husband T.J. bargained for. 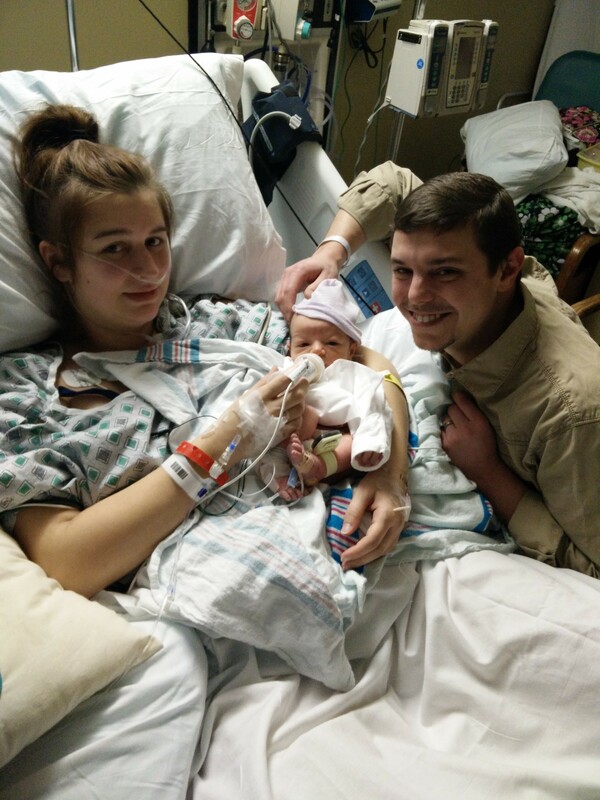 Twelve hours after delivering their beautiful baby boy, BethAnn had heart failure, pulmonary edema, and respiratory failure: a potentially deadly combination known as Peripartum Cardiomyopathy (PPCM). PPCM is a rare type of heart failure brought on by pregnancy. It is thought to affect one in every 4000 pregnant women. Women with PPCM may have heart failure during pregnancy, right after delivery, or up to five months after delivery. The symptoms can be rather vague and it is often misdiagnosed. There are very few warning signs. There’ nothing you can do to prevent it. 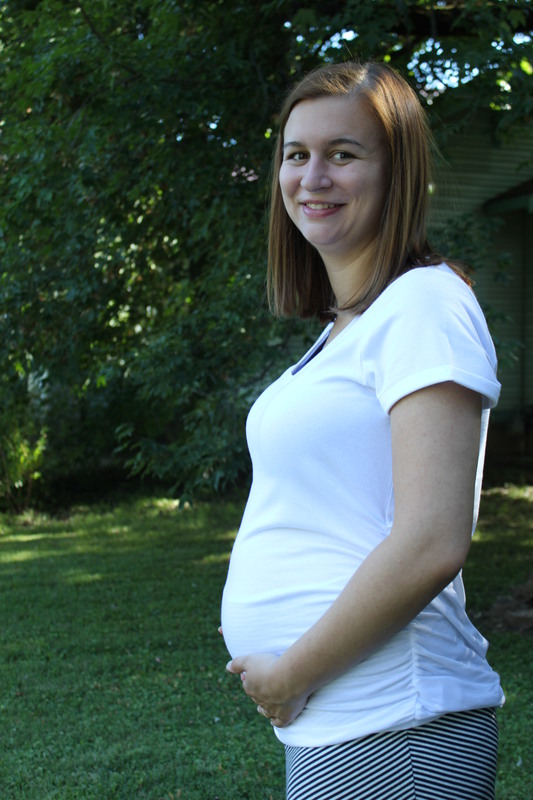 BethAnn’s pregnancy included all the typical side effects: nausea, fatigue, swelling, weight gain. She was very uncomfortable, but nothing seemed out of the ordinary. Eleven days before her due date, BethAnn and T.J. went for her weekly exam, and her blood pressure was up. The elevated BP along with the swelling and headaches prompted the doctor to admit BethAnn to the hospital for possible pre-eclampsia. She was induced, and the waiting began. 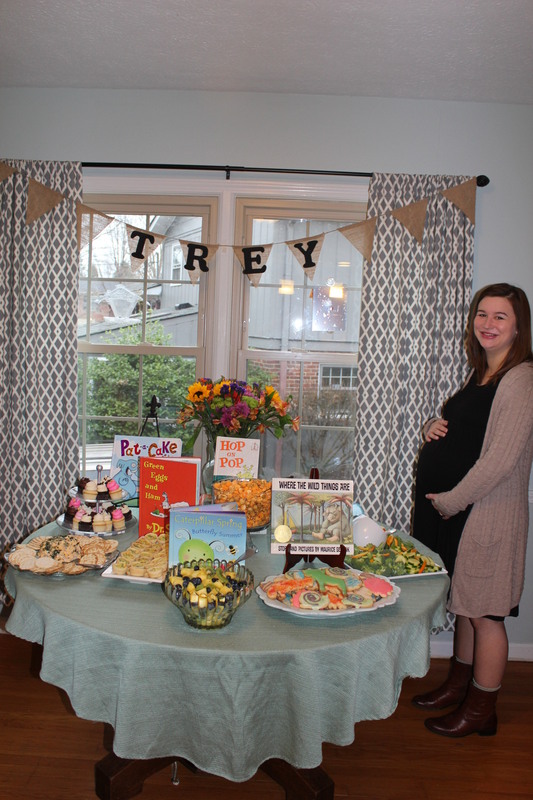 Even though she was already 2cm dilated and 70% effaced, the steady contractions did not encourage baby Trey to make an entrance. All the while, BethAnn’s BP stayed elevated. 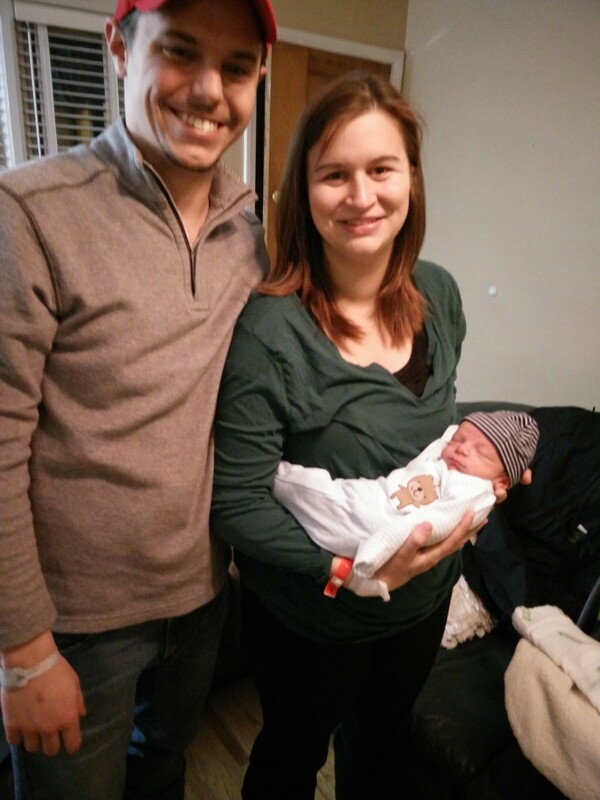 After 20 hours of labor and an epidural that ended up being a spinal (which made BethAnn really sick), Trey had not budged and BethAnn’s blood pressure was slowly getting worse. BethAnn was getting more and more miserable. 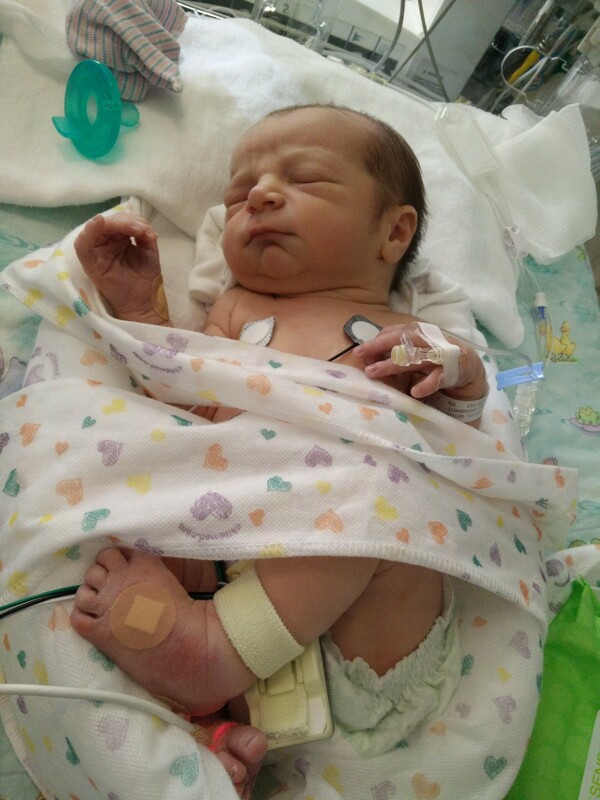 Her doctor made the wise (yet disappointing) decision to deliver the baby by C-section. 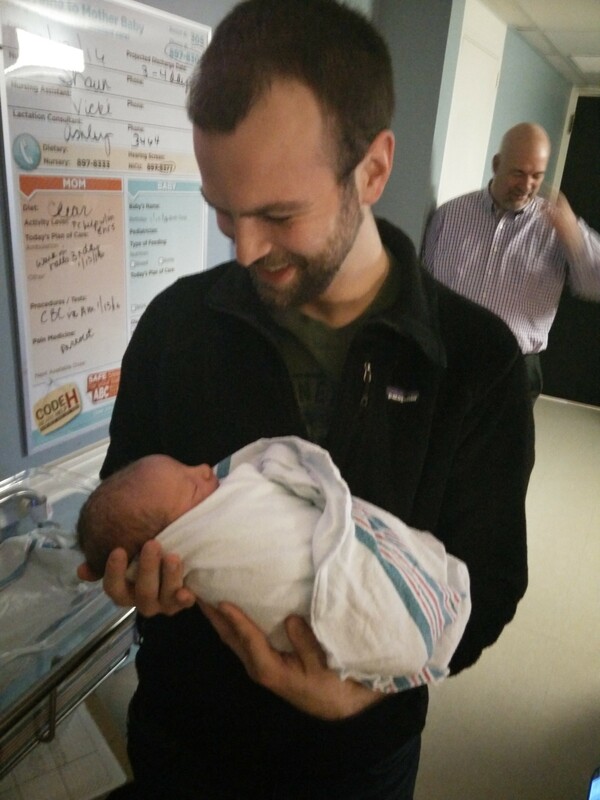 At 9:26 a.m. on January 12, Anthony L. Hughes, III (Trey) was born and we all rejoiced. He weighed 6lbs. 8 0z. and was 20 inches long. I visited her that evening and got to hold baby Trey for the first time. All of us were excited to introduce ourselves to Trey. But BethAnn was feeling worse and worse. Her headaches started again (probably due to the spinal, ugh). The nurse kicked everyone out so that she could get some rest. T.J. went home for a shower and I stayed with BethAnn and Trey till he got back. In the meantime, the nurse discovered that Trey was not keeping his body temperature up, and took him back to the nursery. I could tell by the look on BethAnn’s face she was feeling pretty crummy, but she couldn’t really explain why. A few hours later would explain everything. 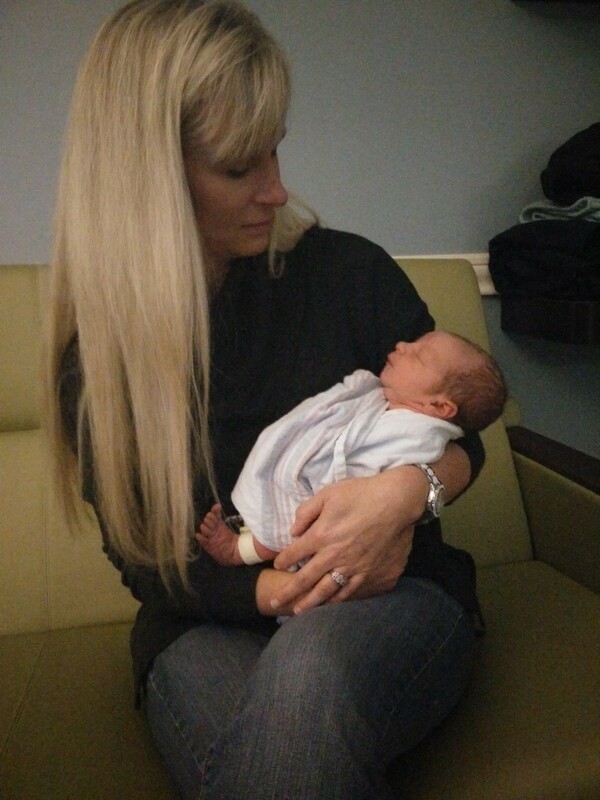 I went home after T.J. got back to the hospital, and I went to bed, relishing in the fact that I was a GRANDMOTHER!!! At 12:25 a.m., my cell phone rang, and it was T.J. My first thought was that they were having a rough night with a fussy baby. I was wrong. T.J. said that BethAnn was having trouble breathing, she was being moved to Critical Care, and she was being intubated. 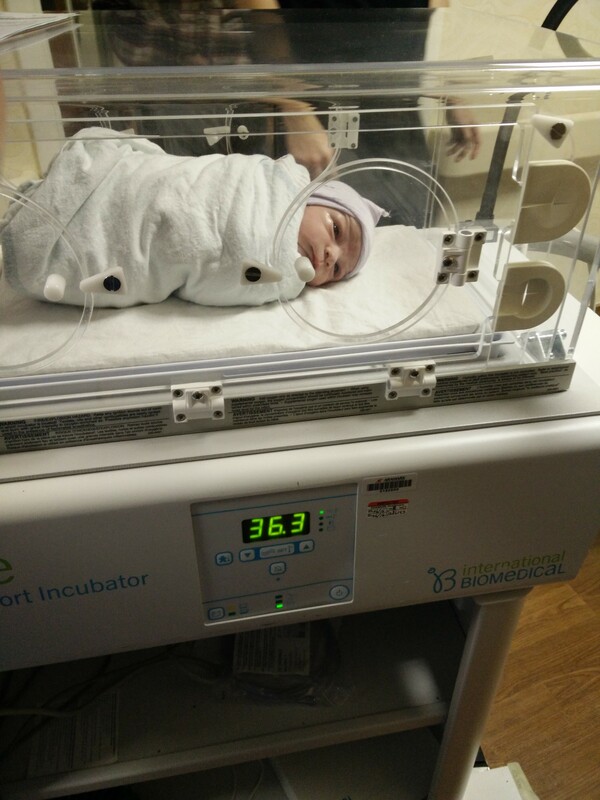 If that wasn’t bad enough, Trey was in the NICU because he couldn’t keep his body temperature up. Rewind a bit: At about 11:00 p.m., BethAnn’s oxygen sensor alarm kept going off (low oxygen). She felt like she was having bad reflux. She was spitting up pink, frothy liquid (from her lungs). She started having trouble breathing. Her blood pressure went up. An x-ray confirmed pulmonary edema (fluid in lungs). They called a Rapid Response and quickly moved her to CCU (Coronary Care Unit). On her way to the CCU, BethAnn started blacking out from lack of oxygen (even though they were pumping her with oxygen at this point). T.J. said she was starting to turn purple. They would not allow T.J. in the room while the nurses and doctors worked on her. First they sedated BethAnn and then intubated her. Her oxygen still would not come up and they continued forcing oxygen in her lungs. When Rod and I met T.J. at the hospital, the nurses met us at the entrance of CCU and explained that we could not see BethAnn yet. 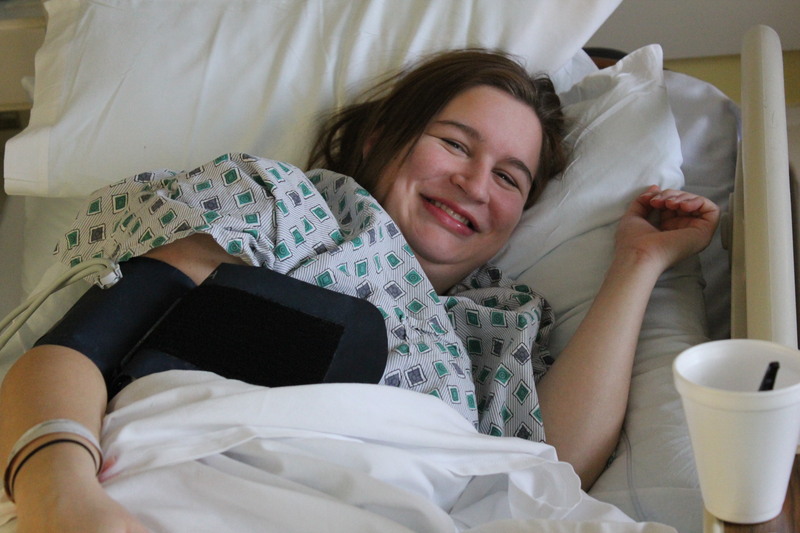 There were seven doctors and nurses in her room trying to stabilize her. The ventilator was doing most (all) of the breathing for her. She was restrained to keep from pulling the tubes out. An echocardiogram showed her ejection fraction (EF) was 30-35 (working at 50% capacity). Doctor after doctor came out in the waiting room and explained that she was having heart failure due to the demands of pregnancy. After delivery, blood from the placenta must be reabsorbed in the body. Her heart could not handle the extra demands. Her heart failed her, and her lungs filled with fluid. Honestly, without intervention from the doctors and nurses (and Jesus), she would have died. We prayed and prayed for God to intervene in her body. I felt God’s peace that passes all understanding. 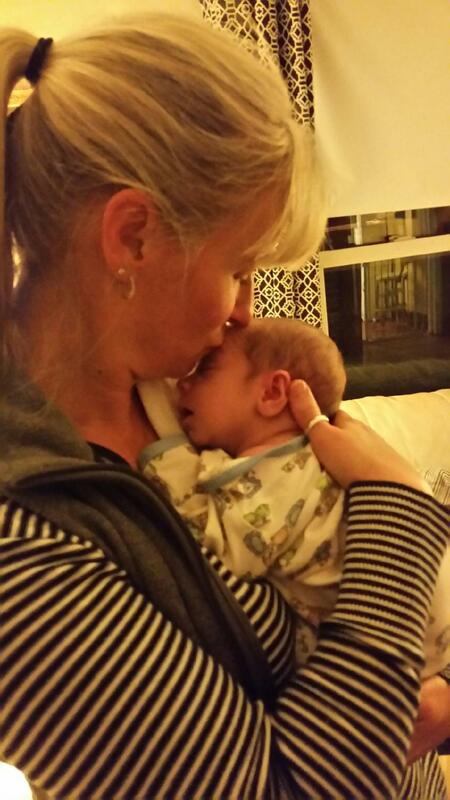 Baby Trey was the bright spot amidst the confusion of BethAnn’s condition. 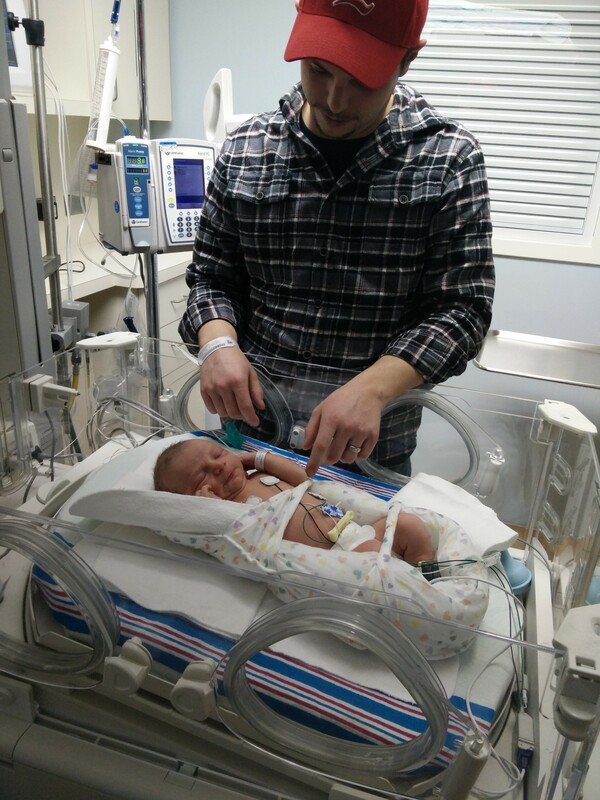 We were able to go back and visit him in the NICU. He was under the warmer and they were testing him for any kind of infection that might be causing his body temp issues. We were finally able to see BethAnn. The only word I can think of to describe BethAnn in the CCU was “sad.” It is so sad to see your daughter on a ventilator, a tube in her mouth, taped to her face so the tubes don’t move. It is so sad to see her chest move up and down with the machine, knowing that without the ventilator she would not be breathing at all. It is so sad to see her beautiful hands strapped down to the side of the bed. She had sweat on her upper lip, and I wiped it off. Her eyes were closed. I touched her hand, and her fingers moved. I watched her chest move up and down. Her hair was a mess. Her shoulders were bare and I couldn’t tell if she had a gown on underneath the sheet (she did). There were tubes everywhere. 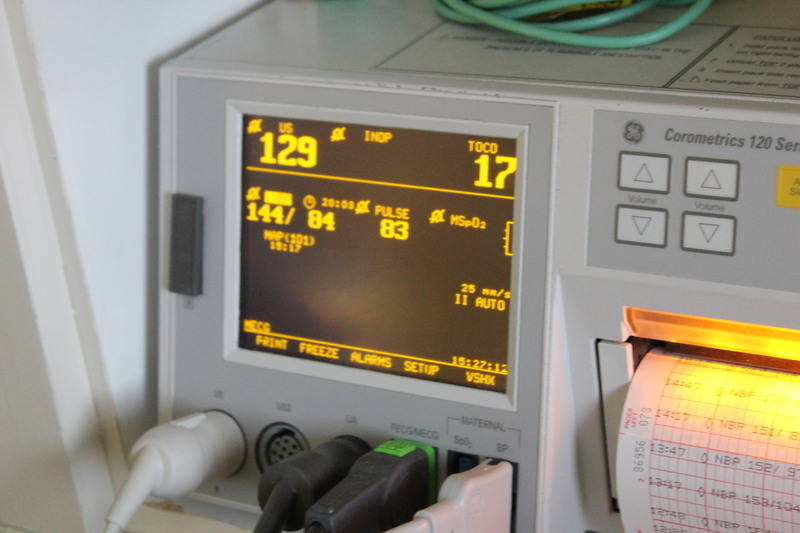 An arterial line monitored her blood pressure (still very high). She looked like a twelve-year-old little girl in that hospital bed. A girl with a baby waiting for her in the NICU. A girl whose husband was in torment waiting to see if she was going to be okay. Tears streamed down my face as the reality soaked in: my 22-year-old daughter had heart failure. I didn’t stay in her room long. I didn’t want to disturb her and I didn’t want to fall apart in her room. In the morning, BethAnn’s eyes were opened and she was alert. Her nurse, Krista, explained that it was okay for her to be awake and that we could stay in there as long as we liked. BethAnn only stayed awake for a few minutes at a time. It was clear that she didn’t really understand what was happening, but it didn’t stress her out. As the day progressed, the doctors turned down her ventilator and oxygen. She was starting to breath on her own! BethAnn “asked” that I brush her hair. It was quite a mess and I took my time. I was afraid of hurting her if I moved her head too much. She pointed at all the tubes and I asked if she wanted to know what they were, and she nodded yes. I explained what all the iv’s were for, that she was on a ventilator to help her breath, that the A-line was taking her blood pressure, and that she had a catheter. It seemed to satisfy her curiosity for the moment. I rubbed her skin with lotion (thanks, Sheila!) to comfort her. It had always been BethAnn’s desire to breast feed her baby, so the lactation consultant came to the CCU and taught us how to help her pump breast milk until she could nurse the baby. It was incredible to see her fight for her life and for the welfare of her baby at the same time. 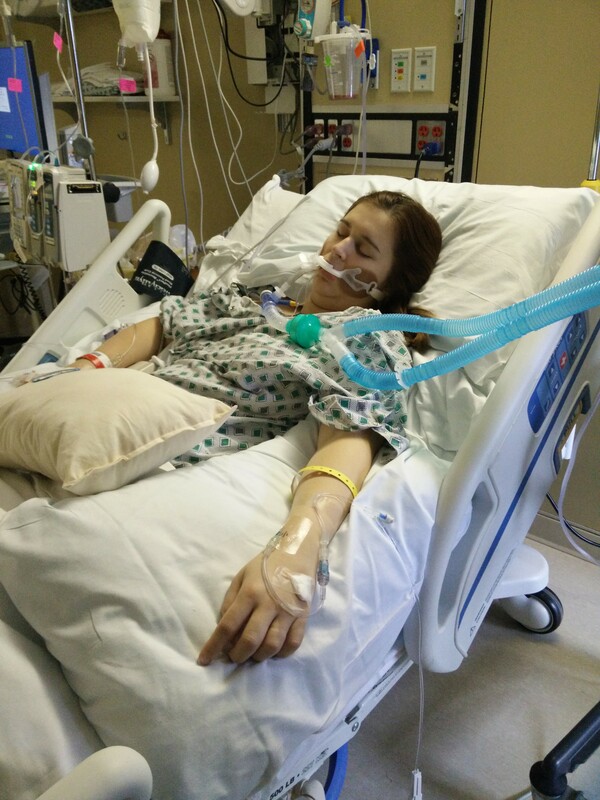 Twenty-four hours after getting on the ventilator, she was off of it completely. Thank you, Lord! Although BethAnn was off the ventilator, she was feeling pretty miserable with a spinal headache. The anesthesiologist came up and did a blood patch, which is supposed to seal the spinal fluid from leaking. It worked! (for about a day). They surprised BethAnn and brought Trey to her tonight so that she could hold him skin-to-skin for the first time. She even got to feed him. T.J.is so happy to finally have his little family together. 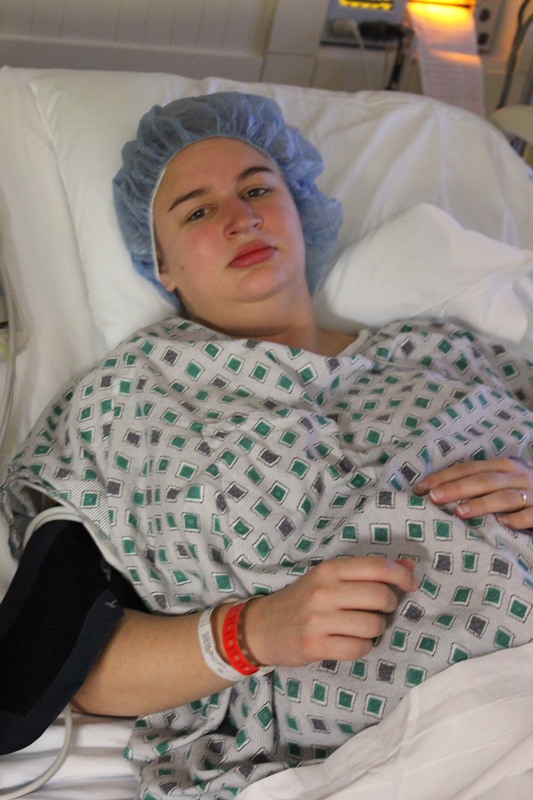 BethAnn was released back to the mother/baby unit after three days in CCU. Trey was still in NICU awaiting test results. 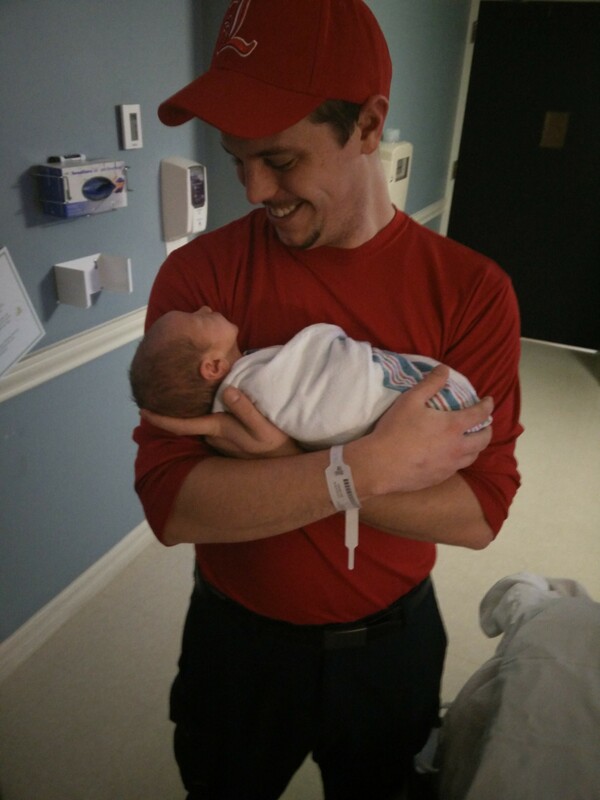 Trey ended up being fine, but the NICU was a great place to visit him while BethAnn was in CCU. BethAnn deteriorated for a few days due to the spinal headache that returned. Her oxygen also kept dropping and her blood pressure remained high. The second blood patch did the trick. BethAnn started eating. She got up and walked. She smiled at her baby. She took a shower. Things were going to be okay. We also learned today that BethAnn will be on lisinopril for at least 6 weeks. 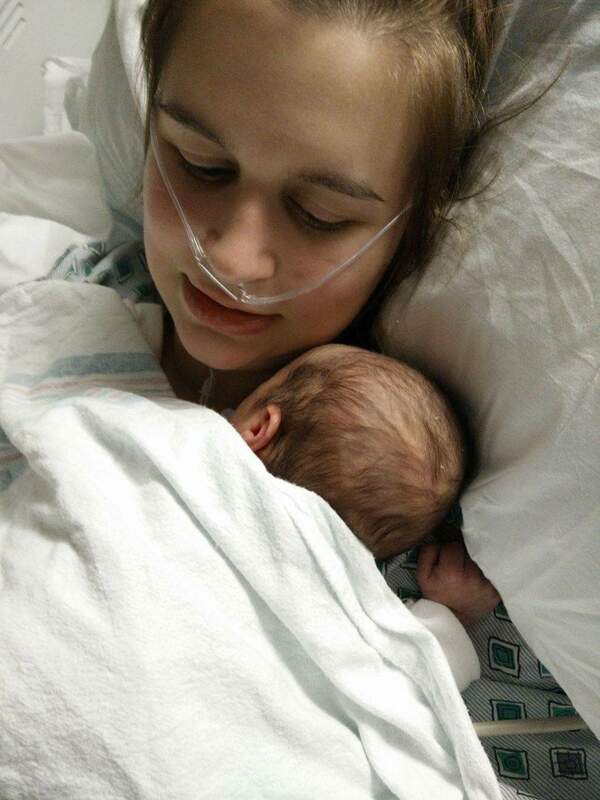 It is not safe for baby, so BethAnn decided to quit pumping. Another side effect of PPCM. 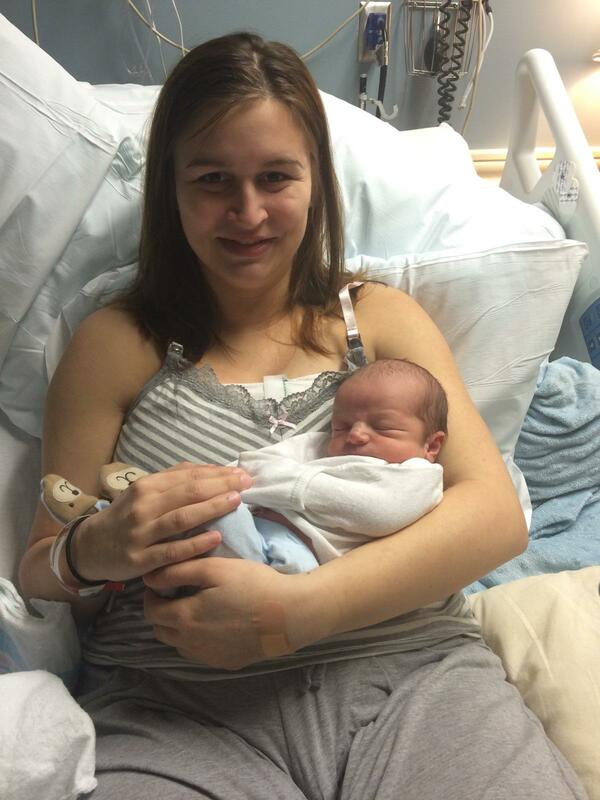 A week after she walked into the hospital, BethAnn got to go home with her husband and baby. She is on a bunch of “old men” medications for her heart and blood pressure. She will go back to the cardiologist for an echocardiogram soon to see how much her heart has recovered. Women with PPCM might recover right away, within a year or two, or never. So far, it seems BethAnn has made good progress. She can breathe and her blood pressure is under control. So many people came to the hospital to encourage and support all of us. Some brought breakfast, lunch, dinner, or snacks (Krispy Kreme!). Some stayed overnight with BethAnn. Some helped her pump. Some came to pray. All of you made a difficult situation a little easier. But most of all, the Holy Spirit was there in the midst of all of us. I never lost hope. I never was angry. I never lost my joy. Jesus said that he would never leave me nor forsake me. And it is true. Thank you, Jesus, for your faithfulness, healing, and love. Thank you, Jesus, that BethAnn’s heart is beating and that her lungs are breathing. I will not take that for granted. We prayed daily for you all even tho I don’t know you personally I know Alvin and Rachel. I’m in Rachel’s Thursday morning Bible Study group. I will continue to pray for Bethann and the family love in Christ ! Susie D.
Sue, thanks for all the prayers! Thank you for sharing. Sorry for lack of prayers here. Had no idea looking at pictures of that beautiful baby boy what her mom was going through. So glad you had people all around &, most of all, the Lord with you. I’ll pray now. Hi Nancy, thanks for your prayers! Becky, what a beautiful blog. You told the story so well. I cried more while reading this than through the whole ordeal. At the time we were just living through each moment. Thank you for writing. talked to my daughter tonight about BethAnn and she said that if she had any questions for her she would be glad to talk to her as she needed someone then and could not find anyone. Hope all goes well, my daughter, Tammy is doing fine. Hi Cathy, thanks for your comment. We have so much to learn. Thankfully we have a good cardiologist who has been very helpful. It has been quite a journey so far!